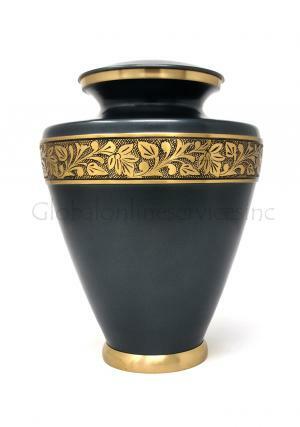 Large leaf brass adult ashes human urn is a brass made and less engraved with presence of leaf pattern. 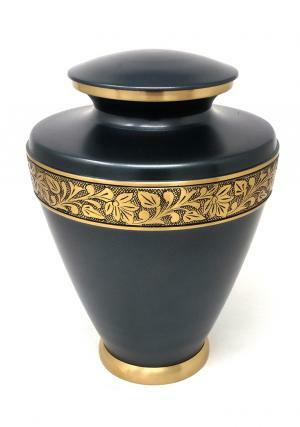 The large urn is beautifully engraved in ash grey enamel with smooth finish. The lid of the urn is engraved well and moulded accordingly to the urn. Secured top threaded lid opening for insertion of ashes. 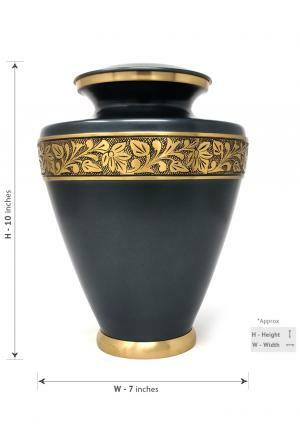 Adult urn capacity: 200 cubic inches, weight: 3.19Kg; dimensions (inches): height: 10", free standard delivery in UK or selected expedite shipping! 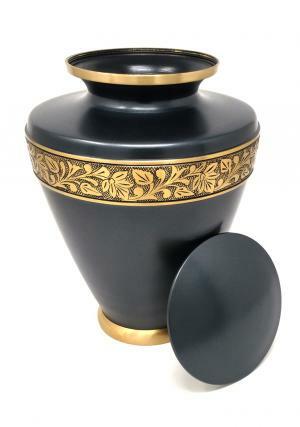 The beautiful adult urn has screw threaded lid on top, used to place ashes securely inside the urn and close tight with the lid. Easy to clean, dust with a dry cloth only.